President-elect Donald Trump has posed for just two portraits since his election day victory: One for Time magazine's Person of the Year cover and one for CNN. 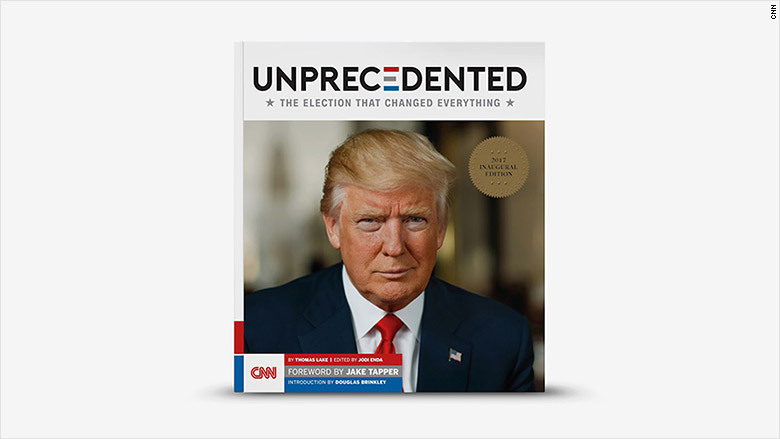 David Hume Kennerly, one of the world's most distinguished photographers, took the second portrait for a second printing of "Unprecedented," CNN's book about the election. Kennerly, who has photographed every American president since Richard Nixon, described the November 21 portrait session in an interview with CNNMoney. "I had it set up in a chair that was actually right next to his desk in his office in Trump Tower," he said. "I had very minimal lighting set up." The portrait session did not take long. "The deal was, they had no picture approval on the portraits," Kennerly said. "But after I'd taken two or three shots, Trump asked, can I see what you're doing? I said, 'Sure.' I'd do that for anybody. I showed him the back of the camera, and he said, 'Wow, I look better there than in real life!'" "So that told me we were on the right track," Kennerly added. 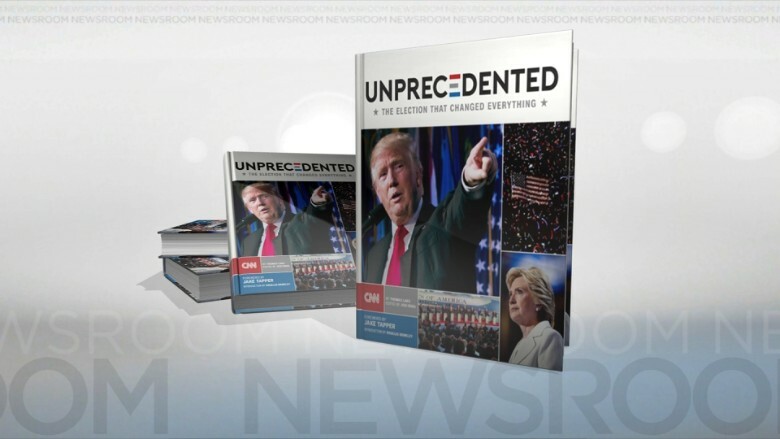 On Monday the book received some surprise attention when the president-elect tweeted about it, saying, "Hope it does well but used worst cover photo of me!" Trump was apparently referring to the first printing of the book, which went to the presses just a few days after the election. He thought the original cover image — showing both Trump and Hillary Clinton — was unflattering. The new cover with Kennerly's new portrait were unveiled on Monday, ahead of Trump's inauguration on January 20. Asked about the new image, a Trump spokeswoman had no immediate comment from Trump. The original cover photo was taken by Kennerly too, back on election night. It showed Trump speaking at a podium, and it was shot from below, looking up at the brand-new president-elect. The original cover of "Unprecedented." Trump is known to care deeply about his appearance in photos and videos. The November 21 photo shoot immediately followed Trump's off-the-record meeting with representatives of five major television networks. During that meeting, Trump reportedly complained about an unflattering photo of him shown on NBC. In an recent interview with Politico, NBC's Chuck Todd recalled how Trump, while running for president, would spend time re-watching his TV appearances. "He wants to see what it all looked like. He will watch the whole thing on mute," Todd said, calling Trump "a very visual guy." Kennerly experienced that first-hand. He spent the last few days of the campaign on the trail with the Trump press corps and was struck by the passion of Trump's crowds. "I called up my wife the day before and said, 'I think Trump's going to win this election,'" he recalled in an interview with CNNMoney on Monday morning. On election night, Kennerly sought access behind-the-scenes with Trump and his family. His hope was to take photos while the election returns came in. "We had really lobbied to get me in there, to document history, one way or the other," Kennerly said. There are iconic photos of past presidents watching and waiting for the results. But the Trump campaign declined the requests for access. Kennerly's guess is that it's because "they weren't sure they were going to win." "It's too bad," he said, "because I think it was a major historical opportunity lost." So Kennerly spent the evening inside Trump's election night party at the Hilton in midtown Manhattan. When Trump won, and came out to speak around 2:45 a.m., "it was still hard to believe, watching it happen," Kennerly said. That's when he took the photo for the first cover.